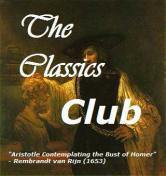 At your blog, before next Friday, November 17th, create a post to list your choice of any twenty books that remain “to be read” on your Classics Club list. On Friday, we’ll post a number from 1 through 20. The challenge is to read whatever book falls under that number on your Spin List, by Dec 31, 2017. We’ll check in here in January to see who made it the whole way and finished their spin book! This entry was posted in Classics and tagged Dorothy L. Sayers, Italo Calvino, kobo abe, Stanislas Lem, Wilkie Collins by WordsAndPeace. Bookmark the permalink. I see that we have some authors in common on our lists, although we chose different books. Moonstone is great! It’s one of my favorite books. This looks a promising list. How did you decide which to include? This is an interesting list lots of books on here that I haven’t seen on other people’s lists. To the Lighthouse is a lovely read. I just started reading some of Dorothy Sayers this year and will need to add Whose Body? to my list…I read her short essays and those were good. Excited for Nov. 17th! yes, that’s her first novel of a series. I know, I can’t wait either! You’ve got quite the action-packed list, and then there’s Oblomov, who does almost nothing through the entire novel. What a mix! Great list! I see we share The Sound and the Fury. However, seeing your list I’m almost rooting for #3, as I simply loved The Moonstone. Whichever it is, I hope you enjoy. That is an interesting list. I’ve only read numbers 2, 3, 12, 13, 15 and 16. I enjoyed them all but To the Lighthouse was my least favourite. When I finished Travels with Charley, Steinbeck felt like a friend.